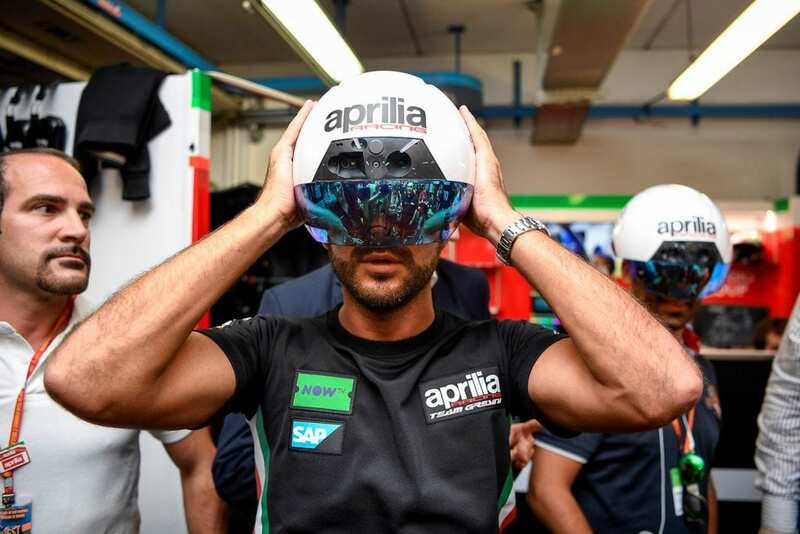 Aprilia Racing commissioned Realmore (a business unit of Equent Media Group) to develop a software application to be utilized on an augmented reality wearable device, DAQRI Smart Helmet, in order to visualize Augmented Reality content that helps the mechanics during the preparation and maintenance of racing bikes. The technology will be put into practice during the San Marino MotoGP at the Misano World Circuit in Italy on September 8 -10, 2017. Characterized by a common passion for innovation and technological research, the partnership between Aprilia Racing and Realmore was born within the Open Innovation project of BacktoWork24 (the first system in Italy for private investment in small businesses) and Aprilia Racing, to promote the development and visibility of innovative start-ups and SMEs.